On August 21, 2017, a total solar eclipse will be visible in the United States. This is the first for the USA since 1991 in Hawaii. This time, it tracks from Oregon to South Carolina. This, the third Monday of August, 2017, a total solar eclipse will occur for the United States. This spectacle has been a long wait for astronomy fans. 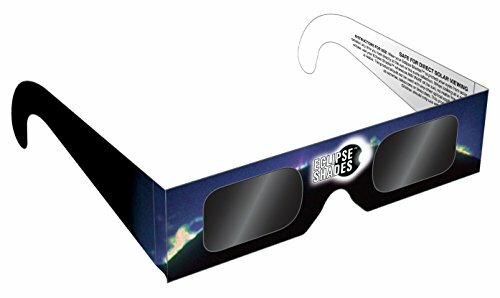 The last solar eclipse in the United States was in Hawaii, 1991. Before that, 1979 for a small part of the Pacific Northwest. This time, people in twelve states will see the event, if they are in the right place. The 1991 event was only visible to those in Hawaii. It then crossed the Pacific and was visible in Mexico and Central America. The 1979 event was visible to some people in Oregon, Washington, Montana and Canada. This time, states from Oregon to South Carolina are participating. It starts at Lincoln Beach, OR, crosses the USA, and finishes far out in the Atlantic Ocean beyond Charleston, SC. Solar eclipses are rare, happening only about once every 400 years at any one location. Interestingly, some places in Oregon saw the 1979 eclipse and they will see the 2017 one as well. The 36 year interval is fairly unusual. This, however, is nothing compared to Carbondale, Illinois and Cape Girardeau, Missouri. People in these locations will experience the 2017 eclipse and another in 2024, an interval less than seven years long. Of course it could be hundreds of years before they see another one. The more you prepare, the better. This location, and Cape Girardeau, MO, experiences two solar eclipses. The first is in 2017 and the second in 2024. Be sure to protect your eyes during all partial phases. Never look directly at the sun without proper eye protection. The duration of totality differs depending on their location in the moon's shadow. Those located along the middle of the shadow zone will see the longest duration. The length drops towards the edge of the shadow. As the eclipse tracks across the United States, it gets progressively longer as the alignment of the moon and sun improves. The maximum eclipse is near Hopkinsville, Kentucky where the sun is blotted out for about 2 minutes and 40 seconds. Many other cities will experience between one and two minutes. Such cities as Salem, Oregon, Casper, Wyoming and Charleston, South Carolina are well positioned. Nashville, Tennessee is the largest city in the zone. Kansas City and St. Louis are positioned at the edge of the zone. Each of these cities are split so residents will have to be aware of the location of the moon's shadow if they want to see the event. While each eclipse is different, there are commonalities. Darkness will descend as the moon covers more and more of the sun during the partial phase. As the sun is nearly completely covered, the amount of sunlight striking the Earth will be greatly reduced. The sky will darken as if at twilight. Normal sunset colors will be visible during the day. Animals and insects will believe that night is falling. They will return to their nighttime lairs, or emerge if they are nocturnal creatures. They will be fooled even if the event occurs during the morning. Soon, however, the total phase will end and the sun will be revealed again. The eclipse starts on the Oregon coast at Lincoln Beach. Total solar eclipses are caused when the moon passes in front on the sun, as seen by people on Earth. As the moon orbits the Earth, it moves past the sun's location once each month, at New Moon. It is then that an eclipse can occur if the shadow of the moon falls upon the surface of the Earth. Usually, however, the moon is too high, or too low, and the moon's shadow sweeps innocently across open space. Rarely, though, the shadow of the moon does reach the Earth during the New Moon. A solar eclipse occurs. If the moon is not perfectly aligned, a partial event will happen. If, however, everything lines up correctly, then a total event happens. The moon is far smaller than the sun, but it is much closer to the Earth. As a result, it appears quite large for people on Earth. In fact, it is virtually the same apparent size as the sun. It is 400 times smaller than the sun, but it's 400 times closer. Simple geometry shows that the ratio of the size of the sun to the size of the moon, and their relative distances, makes the two orbs seem virtually the same size in the sky. When the moon passes directly in front of the sun, the moon's shadow is cast onto the surface of the Earth. The shadow if very small, covering a spot on Earth about 70 miles in diameter. As the moon covers the sun, the shadow falls on the Earth and the eclipse begins. As the moon continues in its orbit, the moon's shadow tracks across the surface of the Earth, scribing a narrow strip. This is the Zone of Totality. 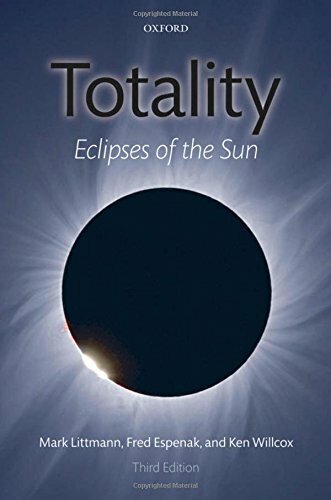 On August 21, 2017, totality starts in Oregon, moving next to Idaho, Wyoming, then several other states to the east. People located in the zone will experience the total solar eclipse. Anyone else in North America at the time will see a partial eclipse. The partial amount varies depending on the distance the observer is from the center of the zone of totality. 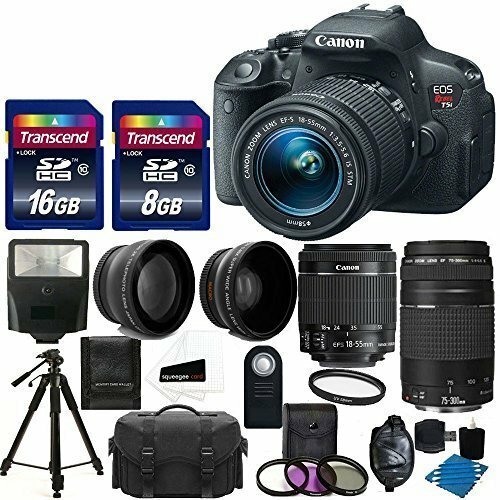 Get this fabulous digital imaging package in order to record everything from the Big Event. The local weather conditions are the biggest variable to consider for the eclipse. Clouds can spoil the show. Clear weather is a must so viewers study the historical weather for the shadow zone. The 2017 event occurs on August 21. This bodes well for weather in many locations of the United States. Where it starts in Oregon, August conditions are often clear and dry. The chance for sunny weather improves for locations to the east, especially in Idaho and Wyoming. The area around Casper, WY is perhaps the most likely to have excellent viewing weather. As the event tracks towards the Atlantic shore, the chance for local thunderstorms will increase. Viewers may have to be quite wary of the weather in order to position themselves well for viewing. Charleston, SC is the last city to see the 2017 eclipse. Some US locations have started planning for the August 21, 2017 solar eclipse. Many cities will host tens of thousands of visitors. 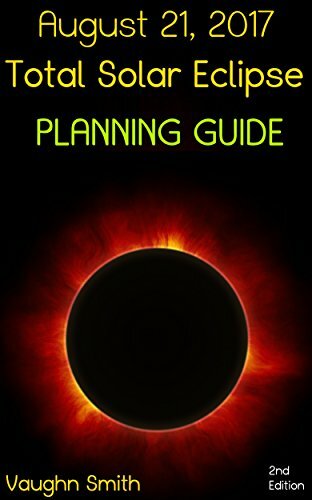 With good planning, cities can provide an exciting, and entertaining, eclipse experience that will highlight the natural spectacle, as well as the attractions of the local area. The weather, however, will be the determining factor.